Plast-Form® has been on the market since 1985. We offer comprehensive services for the plastics processing. We design and manufacture injection molds and other tools with innovative solutions to improve the quality of molding, and reduce costs during manufacturing tools. This approach to the problem, results for the full optimization, through which we achieve the maximum benefit during the subsequent production. Perfection of action, experience and efficiency of design solutions cause that we gained a lot of satisfied and loyal customers to this day. We are open to new solutions both in design tools to the manufacture of plastics and plastics applications. Our knowledge of the plastics allow us to attune the material from which the product will be manufactured, to achieve the optimum product, optimum properties both during injection and mechanical properties and performance. Many years of experience, cooperation with many foreign and Polish companies, helped strengthen our position in the market and the continuous expansion of experience. Constant and experienced staff, large machinery and own toolroom provides realization of any orders in a short period of time and competitive prices. 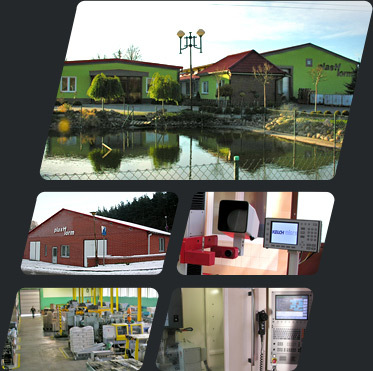 The company is seen as an expert in many aspects of the production of plastics as well as in building tools. Comprehensive service provides the customers, depending on their needs: consulting, design element, design forms, construction forms or tools, realization of product and transport. Co-operating with us, you can count on our professionalism and experience. We invite you to familiarize with our offer.